In the UK 2.2% (2,938 square kilometers) of the land are Conservation Areas, which is greater than the total surface of the country Luxembourg. Of these, 41% are urban and 59% are in rural areas. There are over 10,000 conservation areas in England. Every local authority in England has at least one conservation area, with its unique features. The local council are responsible for any designated Conservation Area, which comes with some extra planning controls and considerations in place to protect the historic features and architectural elements. Rather than national standards, local and regional criteria are used to evaluate if the area is going to be designated as a Conservation Area. Additionally, local authorities have powers under planning legislation to control changes to buildings in a Conservation Area that might usually be allowed without planning permission. The term applies to an area considered worthy of preservation or enhancement because of its special architectural or historic interest or the area’s unique features. Most often these areas are urban or the core of the village. Planning (Listed Buildings and Conservation Areas) Act 1990 introduced the use of Conservation Areas, however, the concept was already introduced in the Civic Amenities Act in 1967. The current legislation in England and Wales is still that of the 1990 Act. Scottish legislation on the other hand follows the Planning Act of 1997. How do you know if you are living in a Conservation Area? You can find out by contacting your local planning authority (LPA). They will be able to tell you when it was created, how far it extends, the reason for its creation and the level of legal protection it has in place. It is important to know such information as it restricts the work you can normally do to your home without planning permission, such as replacing a door or window or altering gutters. People value Conservation Areas for their distinctiveness, visual appeal and historic character. Research by the London School of Economics and Historic England has found that this value is reflected in the price of properties in Conservation Areas. Generally, they cost more and appreciate in price more than properties in other areas, even after adjusting for location and other factors. All of which are benefits of owning property in a Conservation Area. However, ownership in these areas also means that special legislation affects your house and living situation. These controls are tailored to each area by the council and are put in place when there are particular elements of local buildings they want to protect. By contacting your local planning authority you can find out which legal protection applies to your area. For example, if you want to cut down, top or lop any trees in a Conservation Area you must notify your local planning authority six weeks before work begins. The authority will then consider the contribution the tree makes to the character of the area and where necessary even create a Tree Preservation Order (TPO) to protect it. The same goes for demolishing your building in a Conservation Area. You will need planning permission before going ahead with any work. If the building is listed you will also need Listed Building Consent from your local planning authority before you are able to set the plan in motion. Homeowners can normally make minor alterations to their houses without requiring planning permission. Additionally, living in a Conservation Areas does not prevent you from repairing or maintaining your home but it does mean any repair and/or maintenance work must not change the appearance of the property and the materials used must comply with local authority standards. For example, if you want to replace or repair any sash or casement windows, wooden doors or other internal joinery, the work must not fundamentally alter the appearance of the property and the materials used must be the same or similar to the original, to be in-keeping with the aesthetics of the Conservation Area. yoursashwindows.com conduct extremely high standards of joinery restoration work to Conservation Areas, Listed Buildings and other commercial and domestic period property. Our sensitive approach, skilled craftsmanship and attention to detail stands us out and our work often does not require planning permission. Compared to other areas, Permitted Development (PD) rights are different in Conservation Areas. This means that you need to make planning applications for some forms of development which would not need such applications outside Conservation Areas. Your local planning authority can tell you if there are special controls in place and explain what permissions will be needed. Many local planning authorities prepare Conservation Area Appraisals for their Conservation Areas. An appraisal outlines the history of an area and explains what makes it special. It also provides some general guidelines on managing and carrying out development in the conservation area. In addition, local planning authorities will sometimes produce Supplementary Planning Documents for their conservation areas. These show how the authority intends to manage the area in the long term. It is worth checking with your local planning authority to see if any of such documents exist for your area. There may also be local amenity groups or civic societies who are involved with the management of Conservation Area and can give the needed advice. In most cases, work carried out by yoursashwindows.com satisfies local authority consent and does not require planning permission. In instances where planning permission is required, we can provide detailed specifications, samples and drawings to support your application. There is a wide range of urban and rural locations across the UK where Conservation Areas can be found. It is the protection of the quality and special interest of the neighbourhood or area as a whole that is intended, rather than specific buildings. Unique features such as the layout of boundaries, roads, vistas and viewpoints, trees and green features, street furniture and surfaces, the characteristic building materials of the area, the mix of different uses, and the design of the shop fronts will all be considered when deciding whether an area has a special architectural or historic interest. It is the role of the Conservation Areas to protect individual buildings, although it is common for many Listed Buildings to also be located within a designated Conservation Area where those buildings contribute to the special architectural or historic character of the area. As previously mentioned there are additional planning controls over certain works carried out within a Conservation Area. For example, demolition within a Conservation Area requires consent. The designation does not preclude development from taking place, but does require that developments preserve or enhance the historic character of the area. For example, by ensuring that newly constructed buildings are of a high quality design. Conservation Area status also removes some permitted development rights that apply in undesignated areas. Overall, the preservation of historic areas is what makes the importance of Conservation Areas so great in the UK. All Conservation Areas are listed and publicly accessible and can easily be enquired about at your local planning office. They will be able to tell you more about the properties located within a designated Conservation Area. You can also look up Listed Buildings on the National Heritage List for England. Here is a list of Greater Manchester Conservation Areas. Do you live in a Manchester Conservation Area and want to restore or alter your property’s traditional sash or casement timber windows? 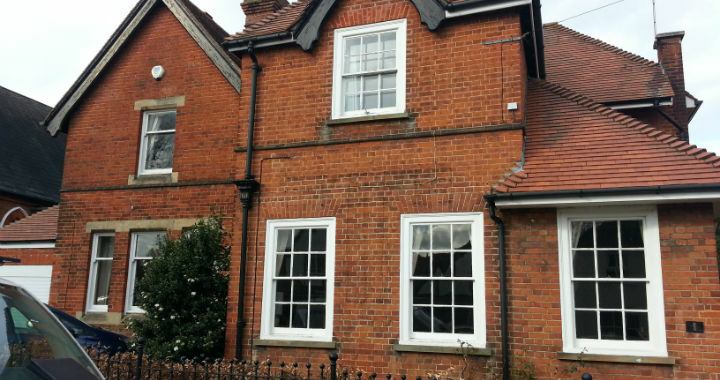 yoursashwindows.com have worked in many Conservation Areas and with many Conservation Officers across the country. With years of experience through our wide spread of branches, providing the finest solid timber windows and doors, we have carved out an excellent reputation with conservation teams across the UK. From our reputation, we are in a strong position to offer sound and impartial help and advice on conservation and planning in your area. Customers across the UK can rest assured they’ll be working with a team who take great pride in their contribution towards lasting heritage. You can call 0333 600 0196 or contact us by emailing enquiry@yoursashwindows.com.